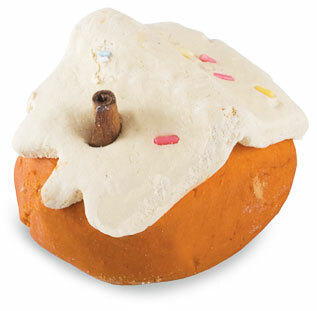 Turn bath time into bake time with this cute-as-pie ginger and cinnamon-scented bubble bar from Lush. Simply crumble under running water for an explosion of suds and a very happy Secret Santa recipient. 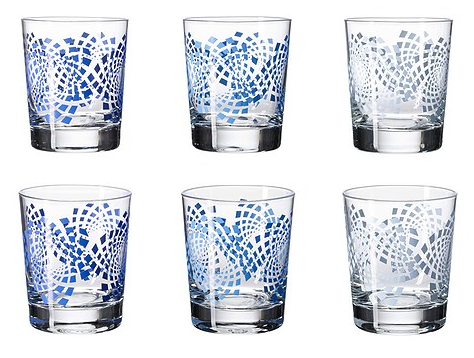 Spread some holiday cheer over a glass of your favourite liquer in one of these abstract-print tumblers that call to mind the whirling snowstorms outside. An amazing bargain for a seasonally appropriate yet practical gift. This cheekily-named tea blend is a nod to a certain steamy novel, but also makes for a steamy cup of tea to accompany you on your next literary adventure. Pick up a package for your (pseudo-)literary-loving, tea-drinking friend! Tis the season for seasonal gifts, like these adorable handcrafted (in Canada!) ornaments with three festive holiday designs. I love ornaments as holiday gifts because it’s a great way to give something personal that they’ll take out year-after-year. 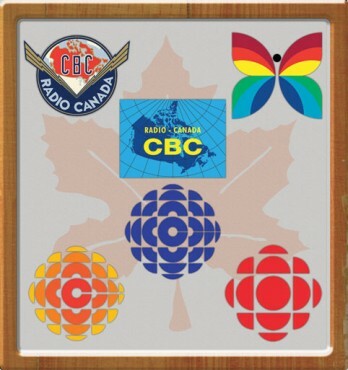 Since so many Secret Santa exchanges take place in the office, I couldn’t resist including this office-friendly gift idea: a mousepad emblazoned with Canada’s national broadcaster’s various logos over the years (dig that rainbow butterfly!) 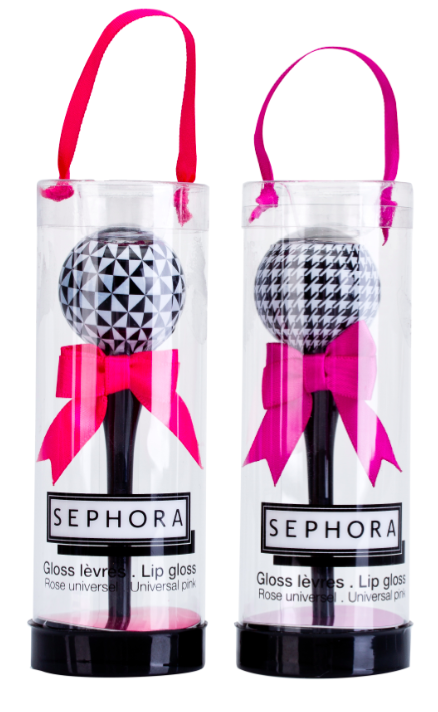 Part retro, part whimsical, and a total conversation starter, this is a workplace wonder when it comes to gift-giving. 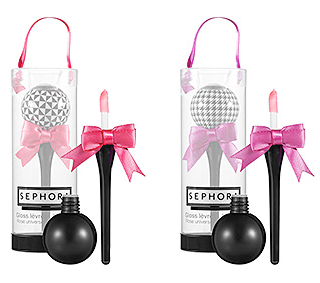 Pucker up for a kiss under the mistletoe with one of these universally flattering shades of shimmery pink gloss, housed in a way-cute lollipop-themed containers. A welcome pick if you’re shopping for a gal pal. All-natural, 100% organic pancake mix in 3 yummy flavours – classic vanilla, salted pecan, and banana pudding – should definitely be on the menu at your giftee’s holiday brunch. Also notable? I checked and it appears there is no additional shipping charge for getting the goods to Canada. Brava! You all know those famous ‘Very Special Christmas’ albums – they’ve been kicking around for 25 years now, with big-time musicians recording tunes in support of the Special Olympics. Artists as diverse as Christina Aguilera, OneRepublic, and Michael Buble are among the contributors this year, plus there’s a second special release this year exclusively performed by Christian artists. 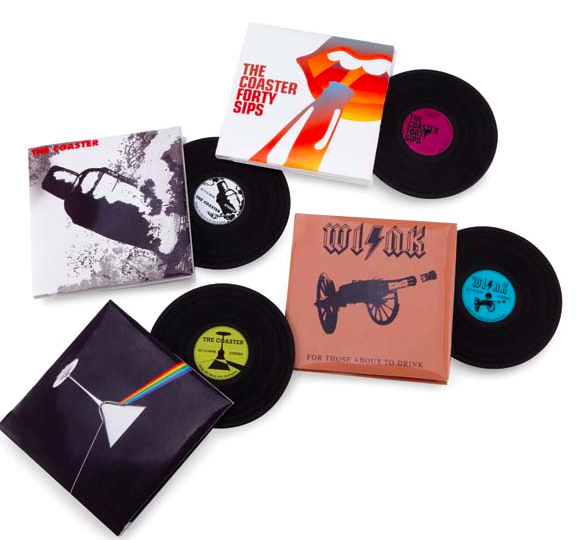 A funky gift for music lovers, these rubber coasters come tucked in a vinyl sleeve that replicate some of the greatest rock ‘n’ roll albums of all time. If you’ve got room in your budget, buy a bottle (or two) of imported beer to go with! What do you get when you mix organic, artisan chocolate with the exotic flavours of Chili, Bourbon Vanilla, or Almond Nougat? 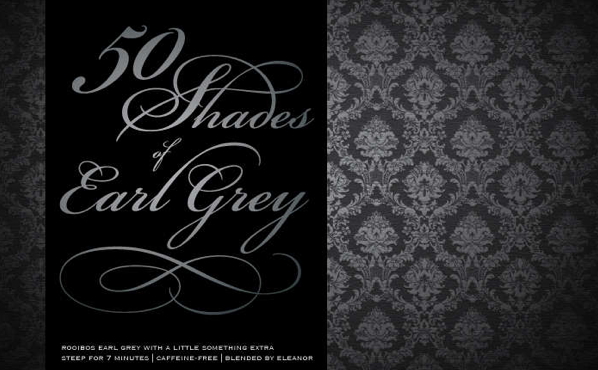 A pretty luxe-sounding, heartwarming gift idea to keep you warm through the winter months. 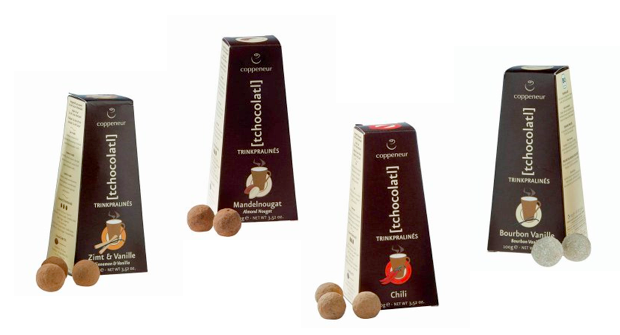 Calgary-based Coppeneur Chocolates has an exotic line of hot chocolate blends in two sizes (the smaller size is just $3.95) and unique flavours (like Pink Peppercorn & Chili) that blend pure, rich cocoa with natural ingredients. You’ll never reach for the store-bought stuff again. Sometimes a gift is way better than just say a boring old $10 GC for Secret Santa gifts at the office!